A tripped breaker – is there anything more frustrating? 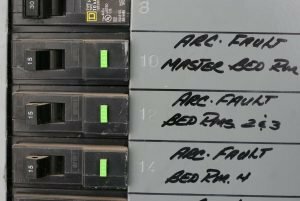 Knowing what causes the situation and how to reset a tripped breaker is an invaluable skill – especially if you find yourself plunged into darkness as a result! In the following short video, I show you exactly what a standard, 15Amp single-pole breaker looks like when it is in a tripped condition, and how to properly reset it. A standard breaker will trip in one of two situations. One is an overload condition, which is a condition where the flow of current exceeds the rating of the breaker for short period of time, and second cause is a short circuit condition, where the flow of current spikes rapidly to tens of thousands of amps immediately, and the breaker trips almost instantaneously. If you know what caused the breaker to trip, remedy the situation. Maybe you were vacuuming and someone plugged in another appliance or tool on the same circuit that caused an overload, or maybe the cord to the vacuum got caught in the jamb of a closing door, damaging the cord and causing a short circuit. Regardless of the cause, fix the situation first! Then off you go to the main service panel to investigate, and this is what you will find – the breaker handle for the circuit in question is somewhere between fully “on” and fully “off”. In the video, notice how if I try to push the breaker back to the “on” position, it won’t stay, and the power remains off. Push the circuit breaker handle firmly to the “off” position and you should hear or feel some kind of a click that will let you know the mechanism has reset, and then push the handle back to the “on” position. Power is then restored to the circuit. Make Sure You Identify and Fix What Caused the Breaker to Trip in the First Place! If you haven’t fixed the problem, rest assured that it will trip again! In an overload condition, it might take a few seconds or even minutes. With a short circuit it will kick back to the tripped position instantly. You may even see a spark, or hear the snap as the breaker trips! You will see different types of breakers in your panel, single-pole and double-pole, such as found in the video example. Notice that with double-pole breakers the handles are physically tied together with a factory tie bar on the handles. That is so if the fault condition or overload is on only one of the two hot wires in that particular circuit, both breakers will trip, removing the power from both of the hot lines to whatever the end device, be it an electric dryer, a range, or any other 120/240V, or 240V appliance or device. Another breaker you may encounter in your panel is a GFCI (Ground Fault Circuit Interrupter) breaker, or and AFCI (Arc-Fault Circuit Interrupter). 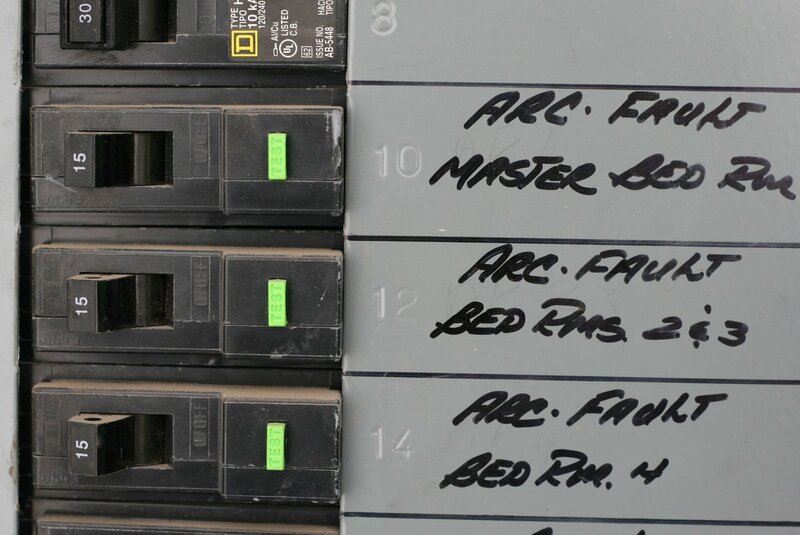 The principles will remain the same to reset those breakers in a tripped condition, but these breakers are unique in that they have a test button to enable you to test the protective circuitry within the breaker to ensure that these types of breakers are functioning as they should. So the important thing to remember here is to clear the condition that caused the circuit breaker to trip. Remedy the situation, and push the breaker handle fully off before trying to turn it back on! Any questions or comments about a tripped breaker that you have had problems with? Please feel free to comment below. For a full explanation of the different types of breakers and their function, a more detailed, easy to understand and animated demonstration can be found on the best electrical educational tool available anywhere – “The Basics of Household Wiring” DVD. 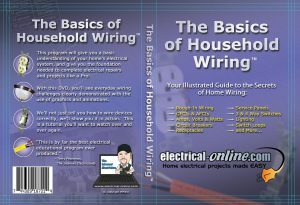 The DVD will give you a complete understanding of your home’s electrical system, and includes step-by-step instructions on most common home wiring projects. Click here for more information and to view a promotional clip. Many more videos like this can be found on my YouTube Channel. The answer to your home wiring questions could be found there, and the best part is that they are FREE! Stop by, have a look, and don’t forget to subscribe. You’ll be the first to know when I add new videos. 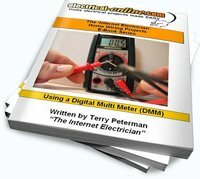 This entry was posted in Breaker Panel, Circuit Panel, Troubleshooting and tagged breaker, breaker panel, circuit breaker, circuit panel, distribution panel, double-pole breaker, double-pole circuit breaker, how to reset a tripped breaker, how to reset a tripped circuit breaker, panel, reset a tripped breaker, single-pole breaker, single-pole circuit breaker, tripped breaker, tripped circuit breaker. Bookmark the permalink.